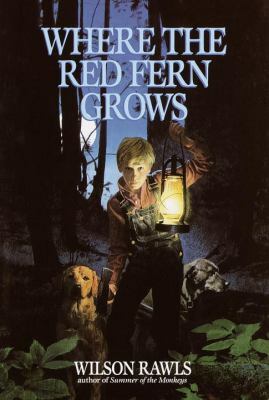 Posted on February 5, 2014	by Katy K.
Where the Red Fern Grows by Wilson Rawls. It was second grade, and my teacher read this aloud. And then I read it to myself many more times. Rilla of Ingleside by L.M. Montgomery. Walter! Oh, my goodness! 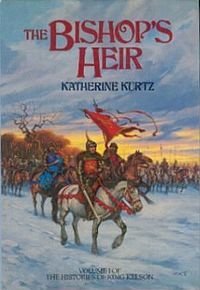 Histories of King Kelson trilogy by Katherine Kurtz. King Kelson was an early book crush, who had one bride after another murdered or married away from him through treachery. I never quite got around to the letter I meant to write, offering myself as a fictional bride so the poor guy could have some sort of happy ending. Paladin of Souls by Lois McMaster Bujold. Not so tragic as the others, but a moving and mystical tale of a widow coming into her own. Love that Dog by Sharon Creech. I found this in library school, and read it aloud to my love through the tears because it was just so beautiful. Walk Two Moons by Sharon Creech. Somehow I put this into my car’s CD player without reading the summary, knowing only it had won some awards. I need to be better prepared when going into a tearjerker, I tell you. The Language of Flowers by Vanessa Diffenbaugh. My colleague S- is one of the few people to whom I will listen when they tell me a book is worth the hankies. (the close office proximity might help.) I might be extra sensitive to stories of mothers having nursing problems. The Piper’s Son by Melina Marchetta. OK, my now-retired colleague C- is another one I trust. She knows her way around audiobooks, as well as what I like, though this story of a family recovering – badly – from the death of a beloved uncle/brother three years earlier hit particularly hard. The Fault in our Stars by John Greene. This is on lots of lists, I know. What got me was not so much the expected sadness, but her relationship with her parents, early in the book. 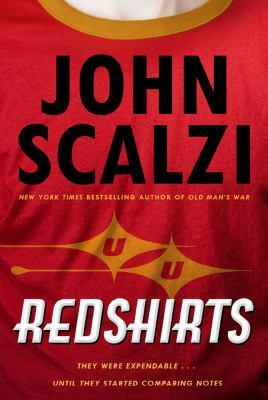 Redshirts by John Scalzi. The book has a hilarious premise. It made me laugh for most of it. And right at the end, he twisted things just enough that there were actual tears in our eyes – both mine and my love’s. Eleanor & Park by Rainbow Rowell. Another popular one – but it’s rare enough for me to have actual tears over books that it’s worth mentioning. It is beautiful, and broke my heart. What are your favorite weepy books? And do you look for them or avoid them? Definitely depends on my mood whether or not I’ll begin a weeper. A Prayer for Owen Meany. Every. Single. Time. God, I love that book. I just looked up that book… I had never heard of it before, but it sounds interesting! It’s in my top 5 favorites ever. Definitely find it! John Irving. It’s just at the end. The whole book is hilarious, uplifting, soooo great! I haven’t heard most of the books in your list other than The Fault in Our Stars and Eleanor & Park. I usually avoid any kind of sad books because I’m not that good in weepy department. I don’t know, I might throw the book out of the window. You definitely need to be in the right place to read a sad book, and I’m just not there as often as I used to be. But maybe I should recommend “Everywhere Babies” by Susan Meyers, illustrated by Marla Frazee, as a picture book that always makes me cry in a happy way. Yes to Rilla! Oh my! I’m a sap anyway, so it doesn’t take much to make me cry. I especially remember crying over the end of Winnie the Pooh when I read it to my girls. I totally should have put the picture book “Everywhere Babies” by Susan Meyers on this list. It makes my love and I cry every time we get to the end, just from the sweetness of babies growing up.